Outdoors in Las Cruces is a year-round obsession for the adventure-minded traveler. Surrounded by an abundance of mountains and vistas, paved and natural trails, and locals willing to show you around, the City of Crosses is the perfect locale for a recreation-focused vacation (can we make fit-cation a thing?). Since we’ve already covered Hiking, we thought we would focus in on Biking and Running in Las Cruces. Though Las Cruces does have its share of historic biker bars (Chopes and Palacios come to mind) and a Harley Davidson store to fulfill your apparel needs, we are not talking about motorcycles here. We are exploring mountain biking and road cycling in Las Cruces, two local favorites that we hope you take advantage of on your visit. If you don’t want to bring your own gear, contact our friends at Outdoor Adventures or Southwest Expeditions for bike rental opportunities. Once you got the right gear, let’s hit the trails! For your road cycling needs, check out the wealth of information Velo Cruces offers the biking community. A local organization, they encourage communication, advocacy, and promotion of bicycling as transportation. They also have great tips on local biking regulations to keep you out of trouble while enjoying the beautiful multi-use paths surrounding Las Cruces. If mountain biking is more your thing, head over to Outdoor Adventures Mountain Bike Trail page to get a rundown of routes in the area. One of the newest additions to the Las Cruces mountain biking/bikepacking inventory is the Monumental Loop, an experience inspired by the creation of the Organ Mountains-Desert Peaks National Monument in 2014. The brainchild of local cyclist extraordinaire, Matt Mason, the 300+ mile route is segmented into two major loops, the northern “green chile” route and the southern “red chile” route. You can definitely tackle a small segment in a day, but for the full, multi-day experience, bikepacking (the combo of mountain biking and minimalist camping) is involved. Get maps, tips, reviews and more on the Monumental Loop here. Also, follow the Facebook group “Monumental Loop” for the latest on group events happening on the route. Cycling not your thing and still want to check out the Monumental Loop? 2018 marks the first time a runner completed the entire route unsupported. Ella Raff, originally from the UK, took eight days to tackle the miles and wrote a detailed account on her blog. People choose to train here for competitions because if you can run in a high altitude, you can run anywhere. Add heat, sun, and dry desert air hitting your lungs, and you’ve got everything you need to get ready for a marathon, and get ready fast. Sierra Vista Trail Run – Did Ella Raff’s blog inspire you? Are you a serious or not-so-serious trail runner looking for some fantastic vistas? The Sierra Vista Trail Run is for you! For the 8th annual running, the event will be spread over two days and will depend on the distance you would like to do—ranging from a 1 mile fun run all the way to a 100k for those ultrarunners looking to add to their mileage. This year’s event will be held March 2nd-3rd near Dripping Springs National Park. Bataan Memorial Death March – On March 17, 2019, a whole new batch of marchers will descend onto White Sands Missile Range to honor the service members who served defending the Philippine Islands in World War II. On average, join over 10,000 fellow attendees in both military and civilian categories on the honorary route (14.2 miles) or the full marathon. This is a bucket list alert! Electric 5k and 1 mile Fun Run – Hosted by the Las Cruces Running Club, this is a classic 5k/1 mile fun run with professional timing and great swag. This event coincides with the City’s Electric Light Parade that is the day before the 4th of July Firework extravaganza. The race begins an hour before the parade and follows the route lined with thousands of spectators. Make sure to hydrate because even for an evening start, the summer heat lingers. Giddyup Gallop 5k & Fun Run – A fairly-new offering that runs in conjunction with the Las Cruces Country Music Festival, this race is a non-competitive, untimed event made for families, friends, and beginning runners. Two loops around the festival grounds, the last loop includes a mini-Ninja warrior course and finishes with a medal for all. Registration includes a ticket for Sunday Funday at the festival! This year’s run with be held October 13th, 2019. Dead Running Events – Organized by a local company comprised of a wife-husband super duo, these running events take place throughout the year with the option to run multiple days in a row in a range of distances. The route takes loops along the Triviz Trail starting at La Llorona Park along the Rio Grande riverbank. Depending on the time of year, the water will be flowing while you run. Meet marathoners from around the world and take advantage of the recently-acquired certification of a Boston-qualified course. 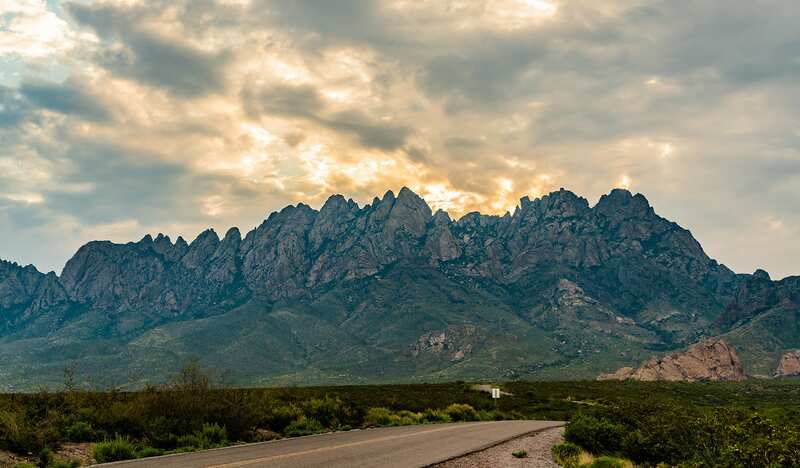 Whether biking or running (or anything in between), at an event or on your own, we hope your next trip includes the inviting and diverse options that outdoor recreation in Las Cruces offers.